Sorry for the late notice, but we've had to move dates because the March Toledo Toy Show is cancelled, and the swap meet in Highland, IN is that March 17 weekend. Please don't forget to support your local raceway. 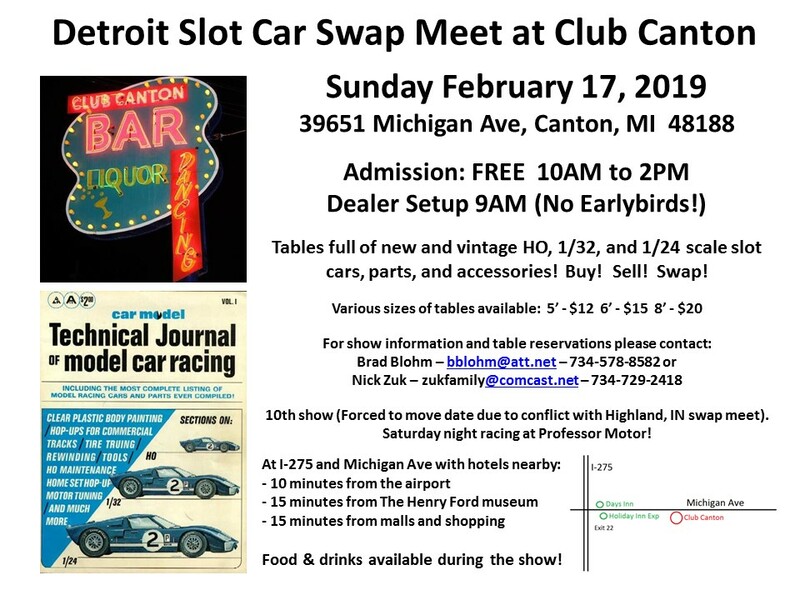 Around Detroit we have Cloverleaf to the northwest, Carlton Hobbies to the North, Downriver Speedway to the south, and Hott Slots to the west.